Join us on October 6th for our Annual Tailgate for Teammates fundraiser. Nothing brings fans together like a good old-fashioned tailgate! Tailgate for Teammates will offer a sense of camaraderie, inclusion and pride among athletes and their supporters. Guests will indulge in upscale tailgate cuisine, take part in fun and festive sports-themed activities, bid for prizes in an auction, and cheer for athletes competing in upcoming Special Olympics Iowa events. The 22nd annual Ames Greek Polar Plunge was held on Friday, April 6 at Iowa State University. The Polar Plunge is a signature fundraiser for Special Olympics and offers a unique opportunity for individuals and organizations to raise money and support Special Olympics Iowa (SOIA) athletes by plunging into frigid waters. 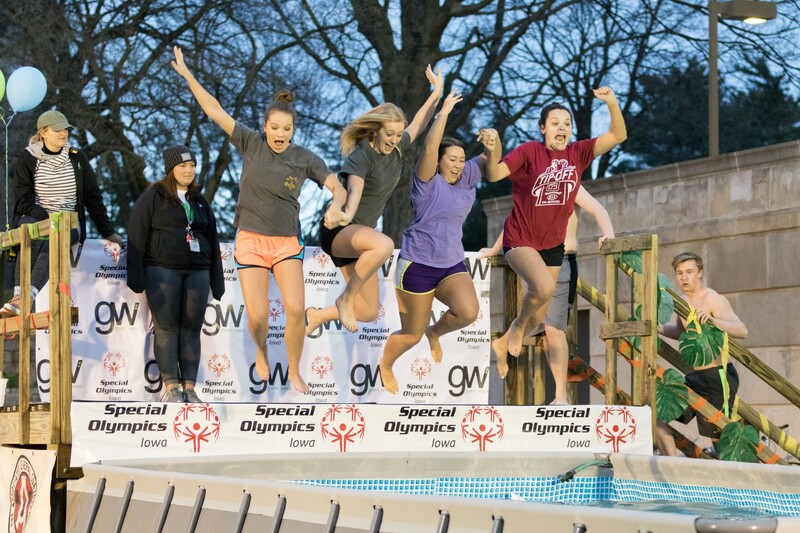 The Iowa State University Greek Community were the sole participants in the Plunge as part of their annual Greek Week. The Greek Community raised a total of $295,000 for SOIA with the Plunge this year. The Polar Plunge is the single largest fundraising event for Special Olympics Iowa. Participants jumped into State Gym’s pool due to weather conditions. 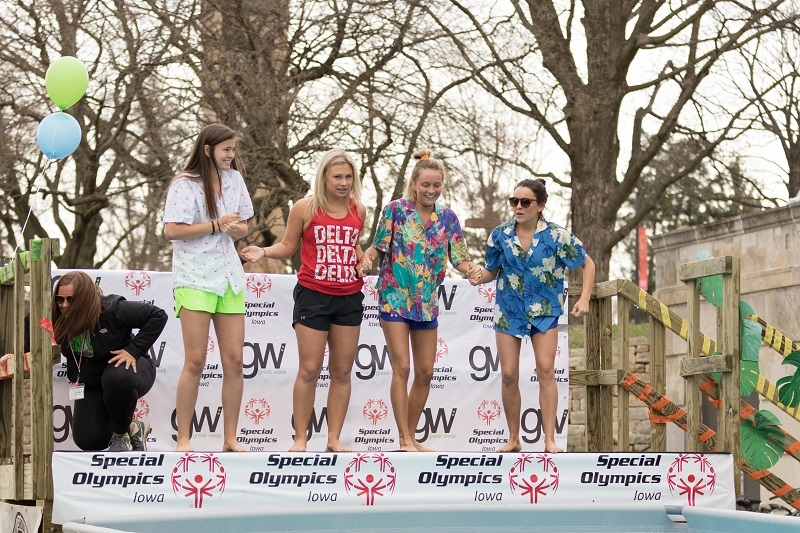 Athletes were also given the opportunity to plunge with their Greek Week teams whom they had been paired with all week to participate in events with. Thank you to the Iowa State Greek Community for all of the hard work for this year’s Polar Plunge! This April will mark my third year of raising money and participating in the Greek Community’s “Polar Bear Plunge” at Iowa State University. As a freshmen I knew very little about what the Polar Plunge was. I knew to an extent what Special Olympics was, but I never fully understood what I was raising the money for. That year I raised my $75 for the plunge and participated. Then my sophomore year came around and I became friends with Katie Buscher. Katie has been a volunteer for Special Olympics Iowa for years, along with her parents Dan and Mary and sisters Lizzy and Annie. The Buscher family’s passion as advocates and volunteers for SOIA is truly inspiring. Getting to know their family better and meeting Katie’s uncle Michael who is a SOIA athlete, helped me realize more about what SOIA really was. The Buscher families’ kindness, generosity and involvement with SOIA inspired me beyond belief. That year for the plunge I raised $575. 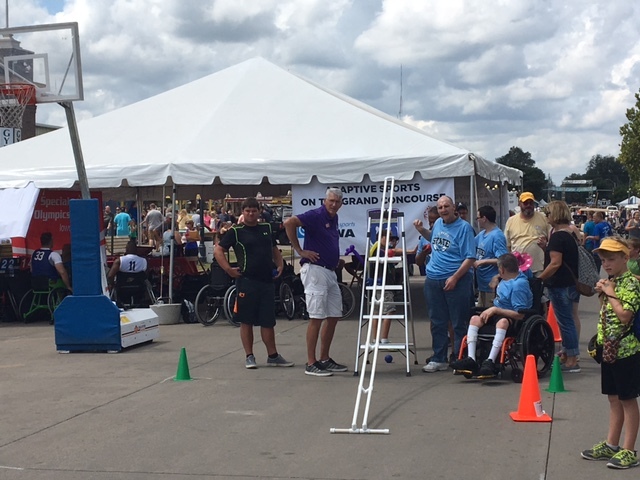 Come join Special Olympics Iowa at the 2017 Iowa State Fair! On Saturday, April 1 the Iowa State University Greek Community and SOIA hosted the 21st annual Ames Greek Polar Plunge. 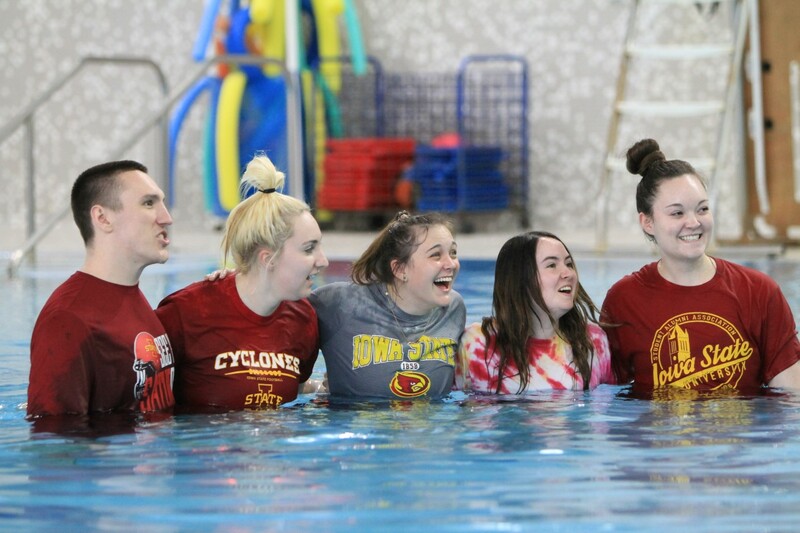 The ISU Greek Community were the sole participants in the Plunge as part of their annual Greek Week. This year the Greeks raised over $377,132.94, a record high for the single largest one-day fundraising event for Special Olympics Iowa. Participants jumped into an above ground 8,500 gallon pool located on the west side of Memorial Union on the ISU campus. 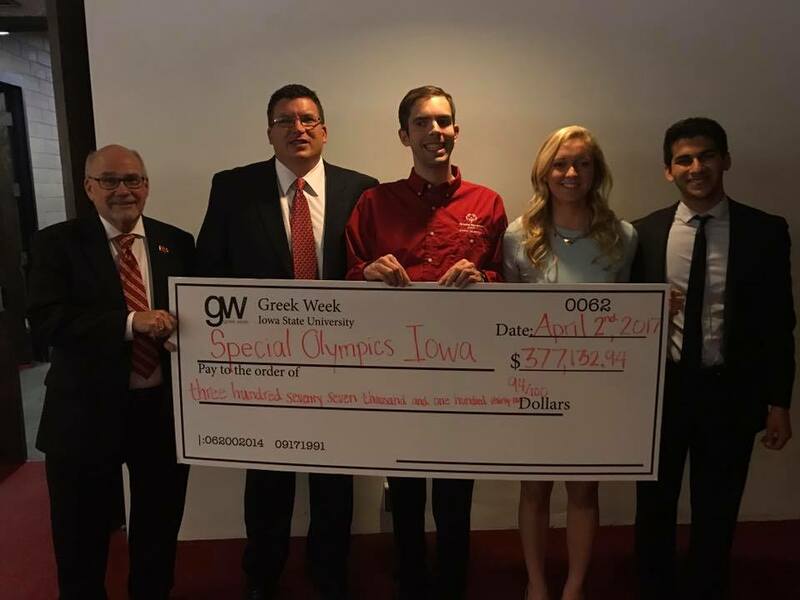 Because of the wonderful effort of the students, the ISU Greek Community is now officially a Champion Statewide Partner for Special Olympics Iowa. Thank you to everyone who donated, supported, and assisted with this event! Martial Artists for Children and Community will host their annual 5k Fun Run on Saturday, May 13 in Grimes. Proceeds from the event will be donated to Special Olympics Iowa. MACC is a 501c3 non-profit organization closely affiliated with Martial Arts America Tae Kwon Do school in Ankeny, Iowa. This organization is designed to provide assistance to the children and community through charity and donation of resources, people and time. The run will start at the Grimes Community Complex, where parking and vendors will be located. The race will begin at 8 a.m. Registration is open online NOW for $35. If you register and pay online by April 29 you’ll receive a free event T-shirt. Registration will begin at 7:30 a.m. the day of the event for those who have not pre-registered online. Questions? Contact MACC Vice President Alex Bishop at bishopa9311@hotmail.com. 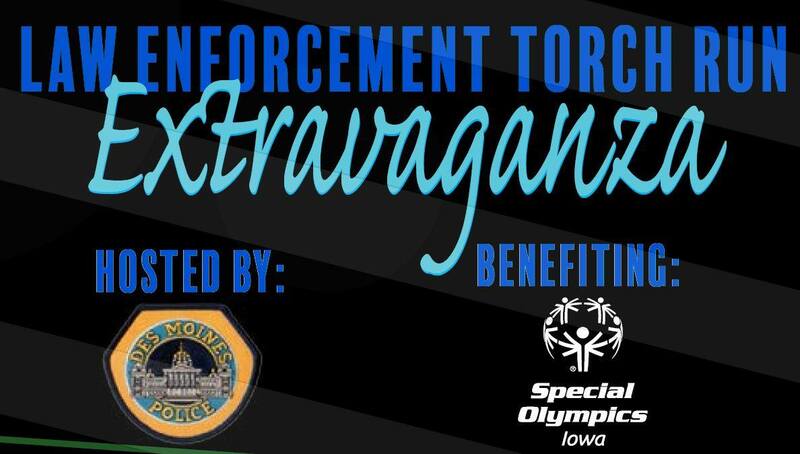 Join us for our Law Enforcement Torch Run Extravaganza (previously known as the Torch Run Dance & Auction) hosted by the Des Moines Police Department on Saturday, January 21st from 7-11 p.m. at Hy-Vee Hall. The night includes a DJ, appetizers, photo booth, refreshments and a live and silent auction! Each attendee will receive and entry for a $100 cash drawing donated by Jeannie’s Bottle. Tickets can also be bought the night of the event. 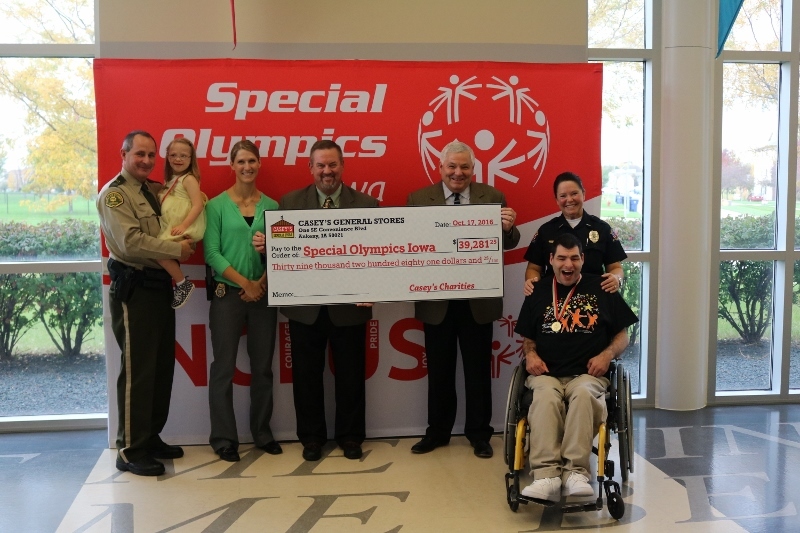 Casey’s General Stores throughout Iowa helped raise funds for Special Olympics Iowa this summer with the Casey’s Cup Campaign. Starting May 19 just in time for the SOIA Summer Games and running through Labor Day, they showcased athletes and law enforcement officials on their 44 ounce cups, with a portion of the proceeds from the cups sold going toward Special Olympics Iowa.